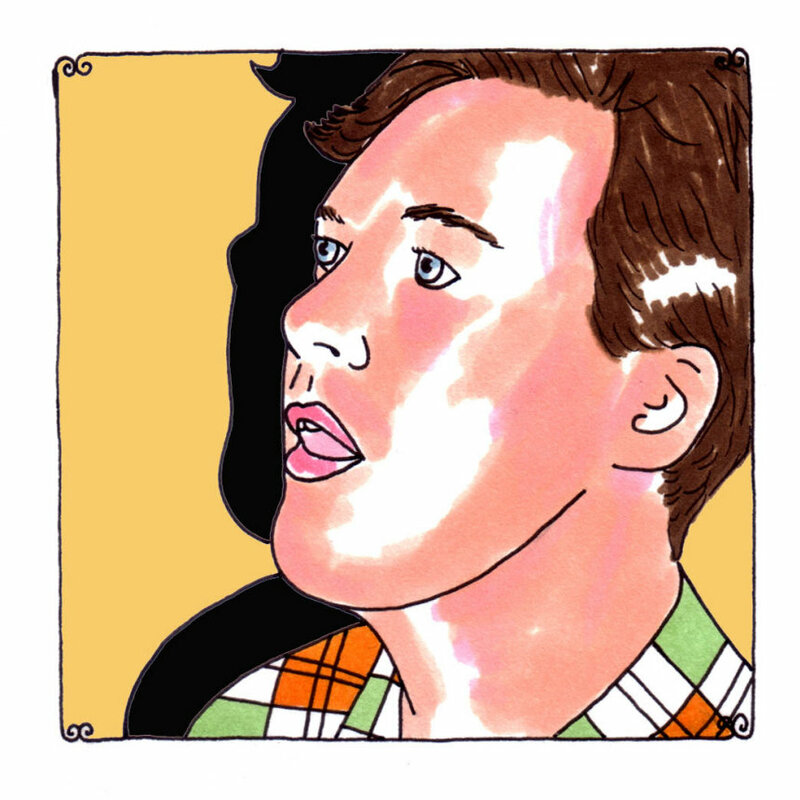 Cass McCombs doesn't know how many more winters he may be able to spend in Chicago. He told me that he just can't stomach the icy cold temperatures during the cruelest and most drawn out season that the Midwest always buckles under, no matter how prepared we all are for its impending beat down. We all become either become ninnies and turn hermitic come late January/early February or we get aggressively perturbed and grouchy, grumbling about it all - the weather from Siberian hell. It all seems so strange because McCombs - one of America's finest songwriting talents, who deserves many more dollars to his name - does icy and desolate so well. He identifies with those middle of the night pilgrimages through a crunchy and bitterly cold outdoors and just mumbling within your own personal space, the amphitheater that hears all of your monologues, all of the soliloquies. He gets the darkness that marches in to encompass everything by 4:30 in the afternoon, leaving everyone stuck enduring it to slide begrudgingly into their coffins, into the stupor that never feels as if it will be over. All of the claustrophobia gets to be too much during these winters, the old cabin fever wears you out and makes you think crazy, wobbly things. You think about fire more often and you think about putting your face in it. McCombs has a brilliant and unending ability to delve into the wonders of seclusion and isolation that don't make them feel as desperate as being snowed into the between parts of your walls, with the crystalline figures tracing up the insides of the window panes like intruding vines and frosty voyeurs. He has a way of turning such ghostly thoughts as a man will have in the depths of a winter into those of light crimson, or of the very precious and precise, flickering yellow of a candlestick's toast. The thoughts and the tender moods that he carries with him in startling abundance still etch themselves out as the brethren of ghosts, showing the characteristics and soft features of them, but they're more likely to be reclusive rather than spooky. The ideas billow like drunken birds - graceful and yet weary, as if a crash landing could be the very next thing that has to happen. McCombs frolics in the often sour-laced details of relationships and seems to exert more than amble amounts of time to trying to reach some sort of conclusion about the trickiest of all subjects: what makes people behave the way they behave, with a sub-question of, what by god makes him behave the way that he behaves. He does this is so many different ways, taking so many deft forms of argument and evidence to present stories and various social obscenities that are thus far unsolved and might remain so without any kind of intervention. Here's to believing that McCombs has it exactly the opposite when he says in "City of Brotherly Love, "Let me be more specific/I'm the model/You're the mythic," as he's got all of the requisite characteristics of a mythic. He's puzzling and he offers his interpretations with a woozy nonchalance and such a galvanizing heat that they say on you like a sunburn, just reminding you that something's happened to your skin and there's no going back completely. On "Catacombs," his latest album, he seems even more perplexed by flakiness and by the loss of days, the constant procession of time and people, and we're left with a feeling that our bones and skin and all the muscled parts might just love screwing up to ever change much of anything. True harmony might not be capable. He sings on "My Sister, My Spouse," "Write down on these tears of newspaper words you would like to see disappear/Let ash fly above the rusty stovetop/I'm going to start with the word 'sincere.'" And suddenly, everything's thrown upside down and there's nothing to believe in that's worth a dime. We're still stuck in some sort of coldness, thanks to Mr. McCombs. No, really, thanks. We're staying. You're staying.